Written by al howard on Wednesday, October 26th, 2011 at 10:00am. “Chicago,” the opening track on Tom Waits‘ first studio release in seven years, starts with a sense of urgency, thanks to a driving, train-track rhythm, accents of banjo, sharp saxophone stabs, and a contemplative yet assured howl. “Maybe things will be better in Chicago,” Waits sings in his inimitable rasp. Though the track hints at things to come, Waits remains as much a sonic chameleon as ever, and Bad As Me embraces many shades and tints of sound. The album features an all-star lineup of musicians from various eras and genres, seamlessly pairing names like Keith Richards, Charlie Musselwhite, and David Hildago with Les Claypool, Will Bernard, and Flea. A rollicking, 50s-diner blues sound pervades Bad As Me, but Waits also allows one leg to wade in the pool of rockabilly. “Get Lost,” “Satisfied,” and the title track all have that sweaty juke-joint stomp, with baritone punches and an antique swagger. 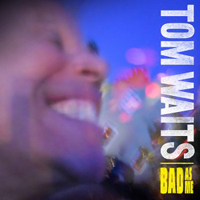 With Bad As Me, Tom Waits has delivered yet another great album. His gravel voice is still intact, his thought-provoking poetry is relevant, the sounds are as unique as ever, and the dynamics range from explosively raucous to a secret ballad whispered in the ear of a lover. At its most vulnerable, Waits’ music could fade into the background of a wine dinner at a four-star restaurant, but within an instant, the stompbox growls and industrial drums could narrate those dinner guests as they flip over the tables and burn said restaurant to the ground. 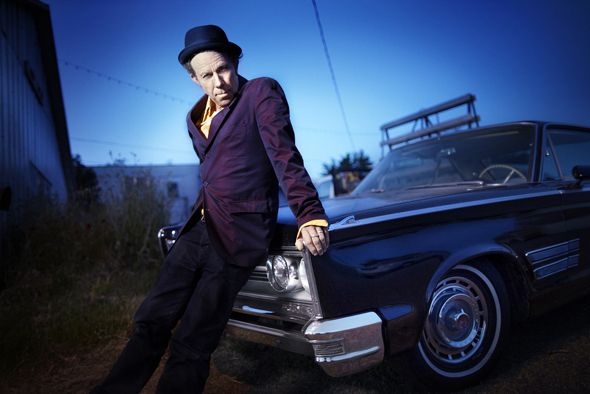 Video: Tom Waits - "Satisfied"